Oil Reclamation as a Method of Improving Power SubStations - ! Equipment for Transformer Oil Reclamation. GlobeCore. Industry is always looking for new ways in how to improve the efficiency of existing electric power transformers since the price for new equipment has been increasing significantly in the past twenty years. Distribution substations and the transmission network are constantly working at peak or near peak capacity and that leads to much more rapid transformer wear and aging. Especially hard hit is the transformer’s liquid and solid insulation. 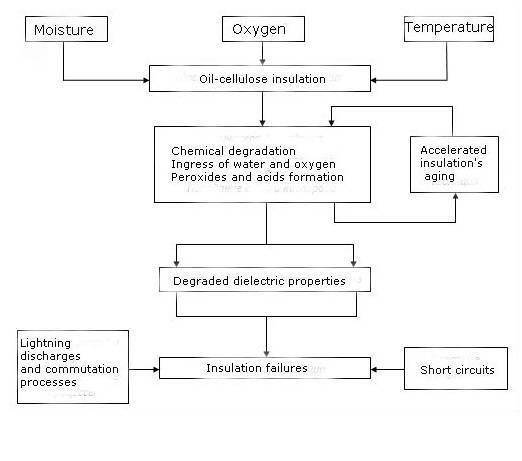 If the insulating system is in bad condition, the dielectric properties of insulating oil will be reduced. For such a prolem, GlobeCore has developed technology for the regeneration and purification of contaminated oil that restores the oil to its original new like condition. Using this advance new technology, oil is circulated through the special regeneration columns filled with Fuller’s Earth sorbent materials. Contaminated oil flows to the oil station and is sent back to the transformer in a clean, new like condition. Since oil is continuously circulated through the unit, the contaminated oil residues are washed out from the transformer. Fuller’s Earth (a naturally-occurring sorbent) absorbs impurities and contaminants. The regeneration time will depend on the amount of oil that needs to be regenerated and the degree of its contamination. GlоbeCоre equipment is desiged to work on energized transformers so there will be no, or minimal service interuptions. 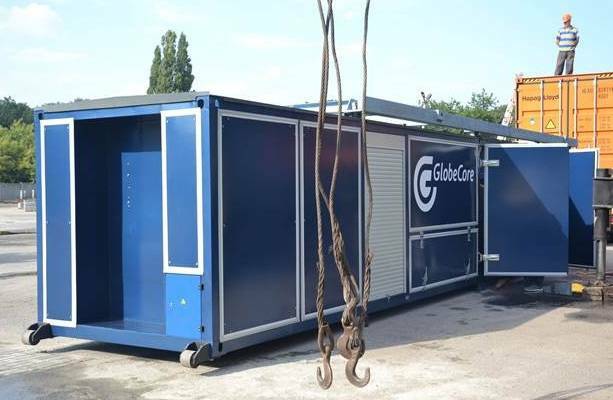 Another benefit of GlobeCore equipment is that its mobility allows the operators to serve multiple pieces of equipment in remote locations without having to evacuate the transformer to a repair or maintenance facility. GlobeCore regeneration technology allows transformer services companies to: (1) restore oil to its original like new condition; (2) extend the service life of transformers and improve their efficiency; (3) carry out “preventive maintenance” in order to eliminate the need for corrective mainatenance; (4) greatly reduce the need to by new oil; (5) eliminate the need to dispose of used oil; and (6) eliminate the risk of service trouble during power equipment operation; GlobeCore technology provides for transformer service life extension, reduction in financial expenditures and improvement of equipment efficiency. Contaminated oil residues significanly reduce the service life of windings and operational reliability of transformers. Aging of oil-cellulose insulation may lead to irreversible consequences during its expected service life. GlobeCore technology increases transformer service life thereby reducing operating costs and improving operational reliability. Contaminated oil residues reduce significantly the service life of windings and the transformer’s operational reliability. Despite the fact that oil-cellulose insulation may be used for more than 25 years, contaminated oil will cause premature failure of the transformer long before the transformer is ready for retirement. It is better to regenerate oil than to simply change it. Products of degradation that have accumulated in the transformer’s solid insulation will get into the new oil within a few months of the oil change. As a result, the new oil will lose its performance characteristics much more rapidly than with the GlobeCore rengernation process. GlobeCore equipment is considered to be revolutionary since Fuller’s Earth (the active adsorbent filtering system) is able to absorb products of degradation. Additionally, oil that is regenerated with GlobeCore equipment is much more resistant to aging. When only changing the oil, there is always up to 15% of the contaminated oil left in the transformer that will accelerate the new oil’s aging. 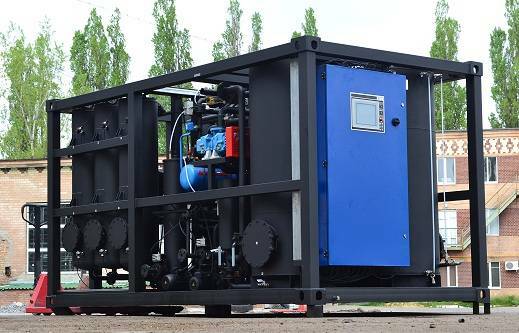 Due to advanced GlobeCore technology, all contaminated oil residues are washed out of the transformer by the hot oil being circulated through a closed loop that includes the regeneration equipment and the transformer. GlobeCore’s regeneration technology is eco-friendly does not generate hazardous waste while regenerating transformer oil and other industrial fluids and oils. The Fuller’s Earth, used in the GlobeCore CMM-R line of equipment, absorbs all impurities and is reactivated directly in the equipment precluding the need to stop and dispose of used sorbent during the processing job. Each load of Fuller’s Earth will last up to 300 regeneration cycles before needing to be replaced. Complete removal of contamnants from oil and solid insulation. If your comapny does not perform reglarly scheduled preventive maintenance, unwanted sediments and other contaminants will accumulate in the crital areas of your transformers. As a result, the performance characteristics of dielectric insulating oil will be reduced and the likelyhood of a transformer insulation failure will be greatly increased. The GlobeCore Process of regeneraing dielectric insulating oil is able to dissolve and remove sediments at high temperatures from the transformer’s core and solid insulation. Even previously accumulated sediments may be dissolved and removed from the entire transformer. The following table shows the limiting values of transformer oil that indicate when it is necessary to regenerate the transformer’s dielectric oil. >0.2 for power transformers and reactors with voltage more than 170 kW. >0.50 for power transformers and reactors with voltage less than 170 kW. Additionally, IEC Standard 60422 recommends to regenerate oil if the performance characteristics of the oil are reduced. The degradation effects suffered by the solid insultaion found in the modern oil filled electric power transformer are irreversible. 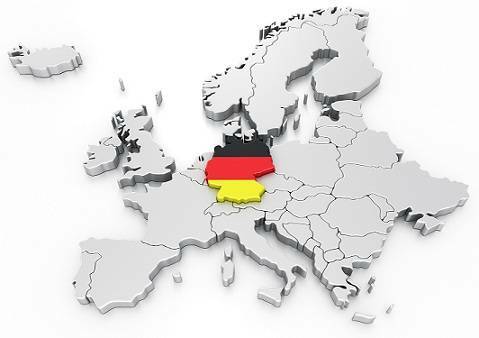 Solid insulation degradation cannot be repaired through any modern regeneration technologies on the world market today. Regeneration therefore, should be considered as a preventive mantenance procedure as opposed to a corrective maintenance procedure. The GlobeCore “Service Life Extension Program” uses advanced modern technolgy to remove moisture and contaminants that degrade the transformer’s solid insulation. It provides for the service life extension of the transformer by removing the progressive aging contaminant from the solid insulation. The table below shows the results of the physicochemical analysis of transformer oil that has been regenerated using the GlobeCore CMM-R oil processing units. After regeneration, oil that has been used for many years is restored to its original new like condition and its dielectric properties are kept stable during many years of future service. GlobeCore regeneration units substantially extend the service life of electric power transformers.